A natural plant compound exploits a newly identified Achilles' heel in a cancer of the eye, uveal melanoma. 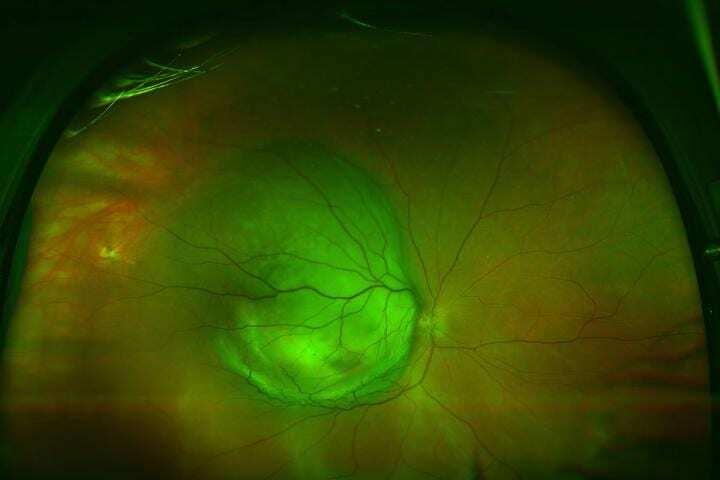 In human cancer cells growing in the lab, the compound shuts down the overactive signaling that drives uveal melanoma cell growth, according to researchers at Washington University School of Medicine in St. Louis. "In about half of patients, this tumor metastasizes to other organs and grows aggressively," said senior author Kendall J. Blumer, PhD, a professor of cell biology and physiology. "Skin melanoma now has a number of relatively new targeted therapies, including immune therapies, that prolong survival, even after tumors have spread. Unfortunately, these treatments don't seem to do much against uveal melanoma. So there is a need for new therapeutics in this specific type of tumor." "This plant compound binds tightly to inactive G alpha q, trapping it in its deactivated state," Blumer said. "When the cancer-causing form of G alpha q just happens to switch off on its own, FR traps it there." Added first author Michael D. Onken, PhD, an assistant professor of biochemistry and molecular biophysics: "In our study, we showed that the cancer-causing form of G alpha q doesn't have to be turned off by force. It just turns itself off every now and then on its own. But it then can be locked down with FR, and that's enough to shut down tumor cell growth."